Can Genesis Gold® help hyperhidrosis? A customer asked- I suffer from hyperhidrosis and I’ve been told that this is an issue with my autonomic nervous system, which is regulated by the hypothalamus. Do you happen to know if your supplements can help with my condition? My hyperhidrosis was really bad 4 years ago, but now it’s just in my hands and feet it gets worse if I get anxious. I responded; I have had patients with hyperhidrosis do very well on my products. It takes time to rebalance the hypothalamus to reset the autonomic nervous system, however. 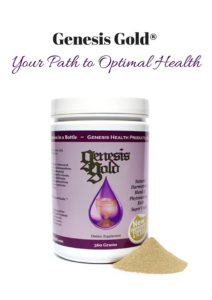 I would recommend taking Genesis Gold®, at one scoop per fifty pounds of body weight, which will provide full hypothalamic, autonomic nervous system, hormonal and detoxification support. In addition I would recommend extra Sacred Seven® amino acids which are in Genesis Gold® but taking more will hasten your hypothalamic healing. First to reset the hypothalamic-pituitary-adrenal axis that is fueling the anxiety driven hyperhidrosis. 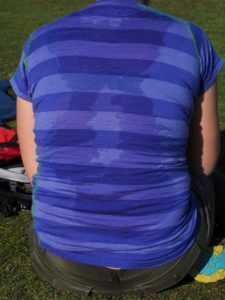 Once that is calmed down, the neuroendocrine response that creates excessive autocrine sweating will mitigate.